Congratulations on taking your NPTE! Now the week-long wait begins to get your exam results. A week may seem like a long time to get your results back; however, over a decade ago candidates had to wait a month for their results to arrive by postal mail. While you may be anxious to know your results instantly, there is a process taking place during this time period before delivering you your final results of the exam. Below are answers to questions you may have while you wait for your exam results. What happens after I submit my NPTE? Your exam along with the others are collected from each testing site. With hundreds of testing centers across the United States, this can take a couple of days to be gathered collectively from Prometric to then be delivered to the FSBPT. Once FSBPT receives all of the exams, what happens next? All of the exams are then checked by the FSBPT for any duplicates or incomplete scores. Each candidate is also verified to ensure they were actually registered for the exam and also to make sure that there weren’t any scores received by a candidate that wasn’t registered for that exam day. The FSBPT then reviews all of the submitted answers and checks to be sure the responses are right. What else is going on during this period of time? There are several types of investigations that may be underway by the FSBPT. For example, policy violations that may have been reported at a particular testing facility. Additionally, certain candidate scores may be flagged in cases where there is a sharp increase in score compared to a previous attempt. In this particular situation, the candidate will see a pending status when checking online and the score will be withheld until cleared by the FSBPT. The candidate will answer a series of questions before the score is released. When does the score get sent to the State Boards? Once the FSBPT has gone through the due diligence, candidates’ scores are then sent to their respective jurisdiction five days after the exam date. When can I know about my status of the exam? 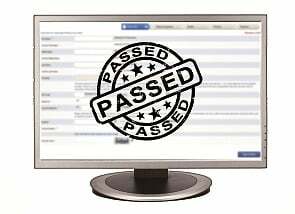 You are able to check your status of either “PASS” or “FAIL” seven days after the exam. In some states, you may be able to check after 9 pm on the sixth day. When do I have access to a score report? You can expect a free score report from FSBPT 10 days after the exam date and is available for 30 days to view online. If you don’t want to wait to know your result, after the 5 days (the score must be released first), you can order an individual score report to receive the results within 24 hours by paying an $80 fee. This would indicate knowing at the earliest 6 days. For candidates that did not receive a passing score, a performance feedback report can be purchased for $90. Are the exam scores scaled based upon the highest score? No, FSBPT exams are “pre-equated” before they are given out. The passing and scale scores are already determined prior to the candidate taking the exam. Within a week you’ll know your results, so until then don’t stress out and do something to enjoy yourself. If for whatever reason you find that you didn’t pass, don’t be afraid to reach out to Therapy Exam Prep for help.